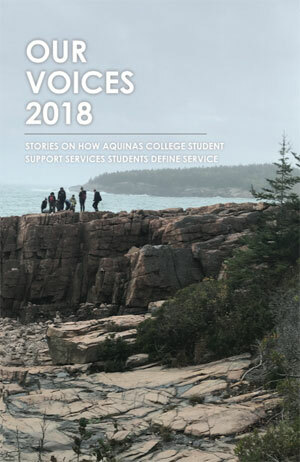 The Student Support Services students and staff at Aquinas College are proud to present the sixth book in our collection entitled "Our Voices". Each book in our series has been written around one of the four Dominican values of prayer, study, community, and service. This year the collection is around the charism of service.